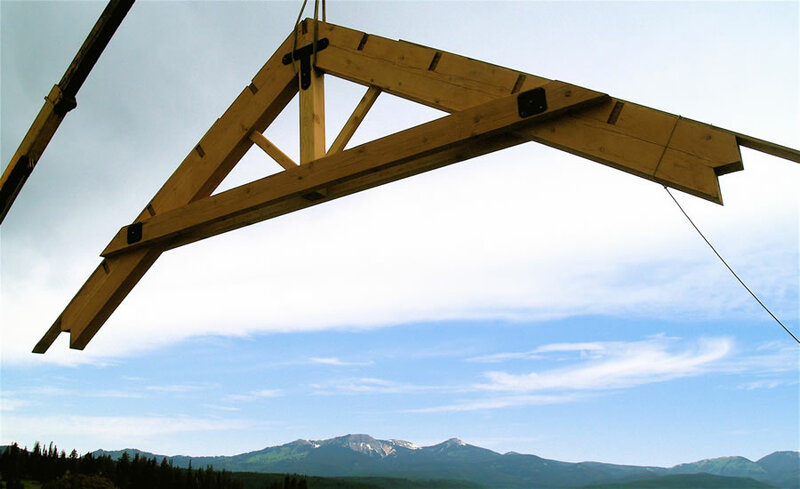 Heavy timber trusses. 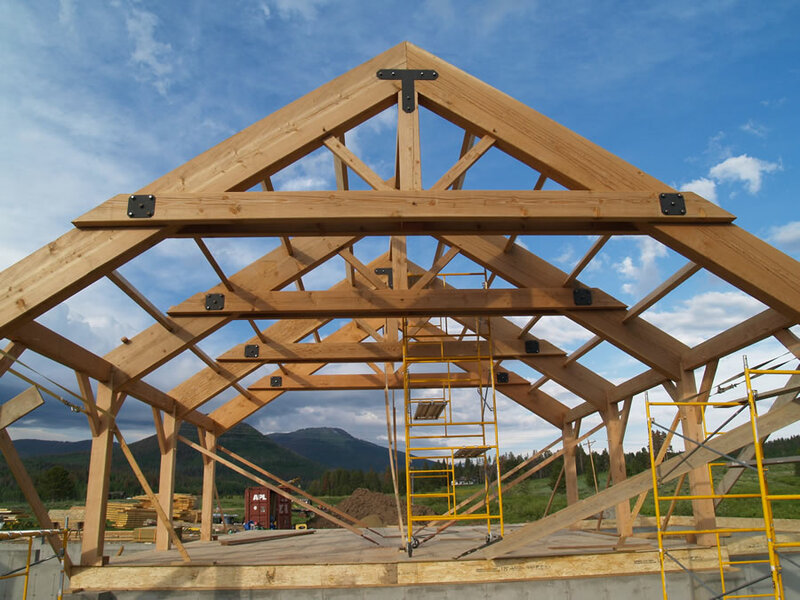 Planed and sanded douglas fir with some steel plates and pegged mortice and tenon joinery. 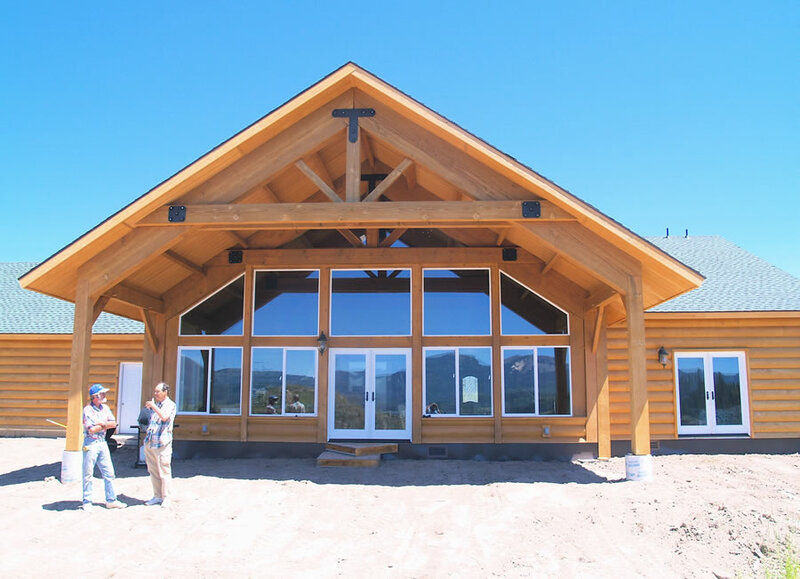 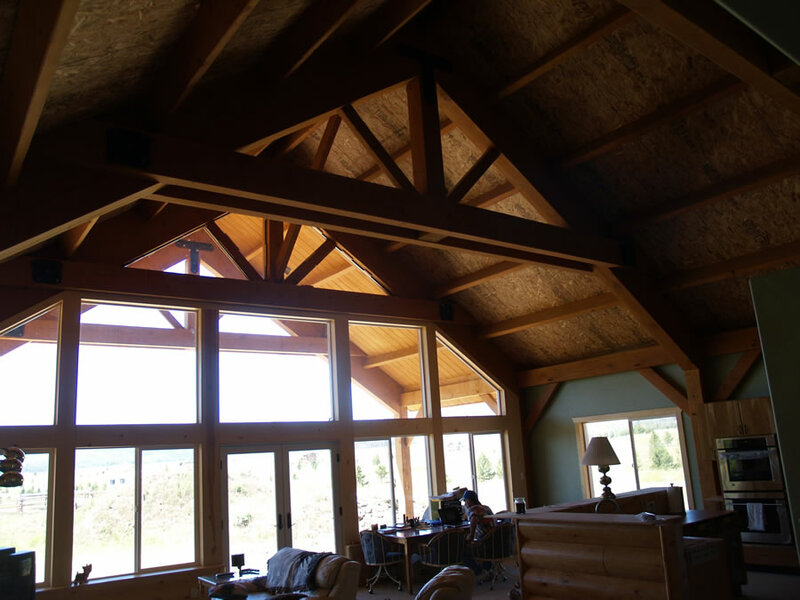 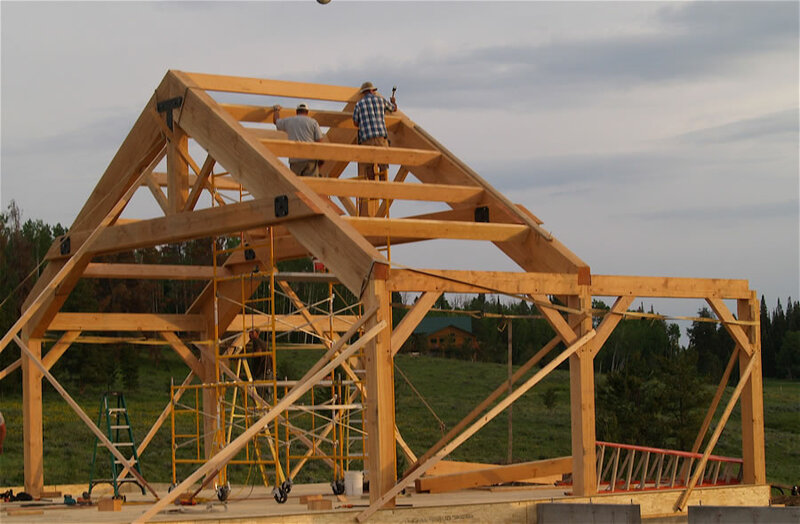 Timbers create the substantial structure with SIPs walls and roof enclosure system.